The SJPC is soliciting proposals for the services of a recognized and experienced consultant to provide grant writing, implementation, and administrative services that will serve SJPC’s goal to increase and diversify funding for the agency’s strategic plan, as well as operational and infrastructure needs, as an organizational priority. Notice is hereby given that sealed proposals will be received, opened and read aloud in public at the South Jersey Port Corporation, Balzano Terminal, 101 Joseph A. Balzano Boulevard, Camden, New Jersey 08l03 on Wednesday, April 17, 3:00 p.m. EST. Notice is hereby given that sealed Qualifications for Engineering Services in five different categories including Marine Engineer, Civil Engineer, Construction Management, Geo-Tech Services, and Certified Divers, pursuant to N.J.S.A. 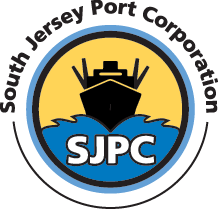 19:44A-20.7, will be received by the South Jersey Port Corporation (hereinafter “SJPC”). Fifteen (15) original sealed copies of each firm’s qualifications shall be submitted to Jay Jones, Acting Executive Director, South Jersey Port Corporation, 101 Joseph A. Balzano Boulevard (formerly Beckett Street), Camden, NJ 08103, by 3:00 p.m. EST on Wednesday, January 16, 2019 at which time the sealed qualifications will be opened and recorded at the offices of the Executive Director of the SJPC. Notice is hereby given that sealed proposals for Auditing Services, pursuant to N.J.S.A. 19:44A-20.7, and E.O. 122 (2004), will be received by the South Jersey Port Corporation (hereinafter “SJPC”). Fifteen (15) original sealed copies of each firm’s proposals shall be submitted to the attention of Director Jonathan Gershen, South Jersey Port Corporation, 101 Joseph A. Balzano Boulevard (formerly Beckett Street), Camden, NJ 08103, by 10:00 a.m. EST on Wednesday, December 5, 2018 at which time the sealed qualifications will be opened and recorded at the offices of the Executive Director of the SJPC.